We have recently introduced Trade Information Sheets to our sites. These are placed on our noticeboards for all employees to see. The aim of these sheets is to : REDUCE, RE-USE and RECYCLE. We have a sheet for each trade, i.e. Plasterer, Labourer/ Bricklayer, Decorator, Plumber and Electrician. These sheets help to raise awareness of the amount of waste that can be produced on a site and provides tips and advice on how to reduce this waste, for example storing materials carefully so as not to spoil them or over ordering materials. They also provide tips on how materials can be re-used, i.e. instead of purchasing new materials, use surplus materials on the next project or repair items whenever possible. Additionally raising awareness of recycling as much as possible, and a section on general Do’s & Don’t specific to each trade and a Did You Know? section which also provides advice, for example bringing to the attention of the workforce that most skips contain 70% air! Encouraging to pack skips well and utilising the space. 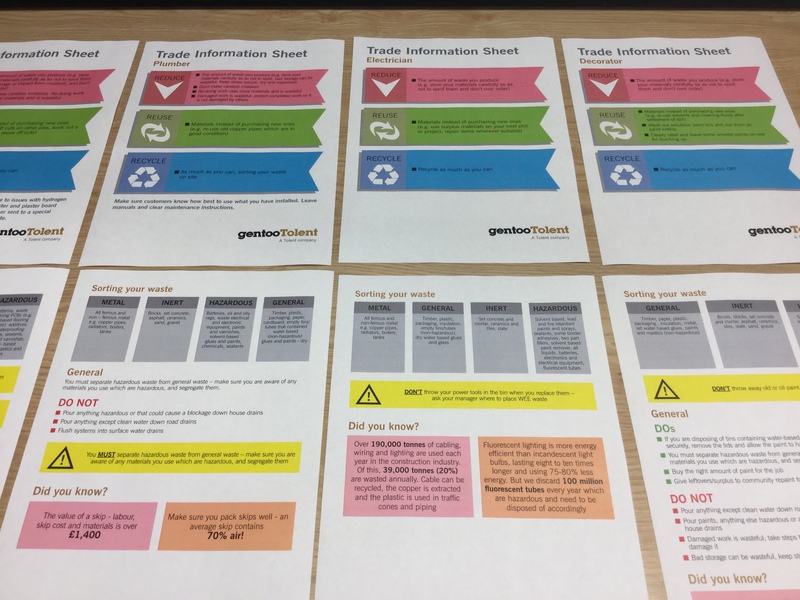 We believe that our Trade Information Sheets will reduce the amount of waste on our sites and increase the amount of recycling. To view the Trade Information Sheets, click download below.